PUNE: The Pune Metropolitan Region Development Authority (PMRDA) has invited suggestions and objections to its mega hyperloop project and has appealed to residents to give inputs within the next 30 days. Kiran Gitte, PMRDA metropolitan commissioner said, “As hyperloop is a new concept and will be introduced in India for the first time, the government is inviting suggestions and objections from the residents.” Gitte said that residents can file the objections regarding intellectual property or those who are getting affected can also sends in their suggestions. Gitte said US-based Virgin Hyperloop One company has shown interest to execute the project between Pune and Mumbai. This project would be executed in two stages. Firstly, a 14 km demonstration track will be developed on the Pune-Mumbai in which 100 per cent investment will be done by the company and secondly, the work will start on the remaining track. Hyperloop is high-speed travelling mode, where a pod-like vehicle travels through a tube at a speed which is more than the usual airline speed. The Maharashtra government is exploring the transportation technology (hyperloop) for the Pune-Mumbai route with an aim to reduce the travel time to just 25 minutes each way. 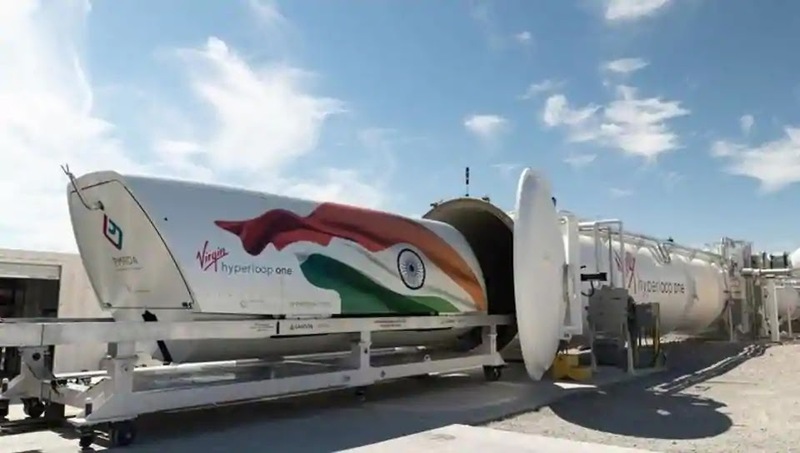 According to a statement from the CMO, so far, Virgin Hyperloop One has completed the pre-feasibility study for the Pune-Mumbai route. The hyperloop, with a speed of 350 kmph, will be able to move 10,000 passengers an hour and 150 million passengers a year once fully operational, said the Virgin Group Founder and Virgin Hyperloop One chairman. It is capable of a speed of up to 1,000 kmph and will connect the Mumbai and Navi Mumbai airports.